Cole Harbour Glass Limited supplies and installs glass for residential, commercial, and industrial properties. Windows, woodstove glass, patio doors, storefronts, architectural glass, and a number of other projects are tackled by our glass experts at our Dartmouth location. All of our staff is professionally trained to assist you with your most difficult glass issues. Family owned and operated since 1991, Cole Harbour Glass Limited has an excellent reputation for superior customer service, versatility, and, above all, quality craftsmanship - a reputation we are very proud to share with you. 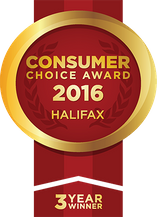 Why Choose Cole Harbour Glass Limited? Cole Harbour Glass Limited is no longer a Para Paints Dealer. Personalize your home with residential glass.